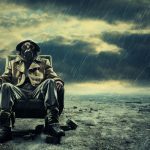 Some translators and agencies are in the lucky position that they do not need to plan up front. 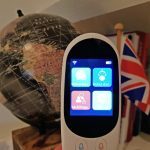 They have a number of clients that bring loads of work in automatically, and don’t need to care about their future, or about marketing plans, or business strategies. 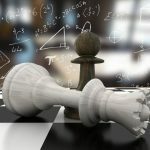 For many others however, working out a strategy is vital in order to win new clients or to improve their position in a market with fierce competition. And, even when we are in a great position and do not need to fear slow spells, it can be good to plan business. Indeed, to reign is to consider the future. Good entrepreneurs think about business opportunities and consider new strategies for growth. A good planner is thus indispensable. 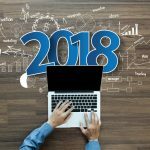 For this xl8 review, the last of the year, I look at five planners that can help to figure out how to spend our time and energy the best to grow our business. The planners are evaluated on their usefulness and pros and cons, but not necessarily listed in order of preference or helpfulness. The people behind the ‘True Path Planner‘ call their planner ‘Your Personal Coach Companion’. 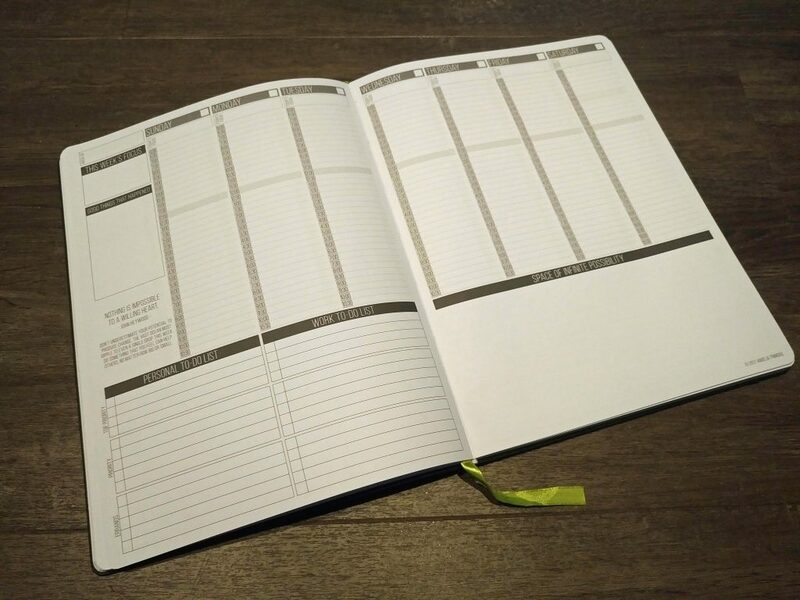 They created the planner to help people organize and prioritize their lives the way they want, to accomplish their goals, and to create healthy habits. The planner therefore takes a holistic approach to one’s life, considering life, health, career, relationships, family and friends, money, and lots of other parameters. After quite a long introduction that strives to give you some insights into who you actually are, the planner offers a great tool to accomplish your goals. It starts with breaking down a goal into its what, why, how, where and when; afterwards you fill out a timeline with milestones. The planner also contains a monthly calendar with room for goals and reflection. The monthly calendar in its turn is followed by a daily calendar with room for goals, plans, and actions. 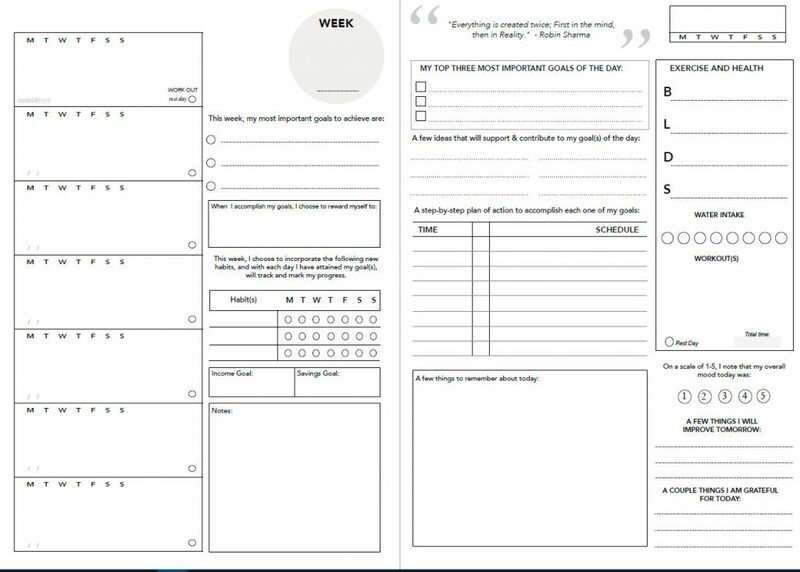 While the planner offers great tools to create your goals and reflect on them, the design is a bit simple. The planner mostly contains black and white text and tables. That might be helpful for focusing on the tasks at hand, but it does not look very inspirational, apart from the fact that the True Path Planner mostly focuses on personal treats and goals, like becoming mindful or creating ‘a better you’. It is therefore not as useful for business, but on the other hand the system it introduces (with goal breakdowns and tasks and milestones) can be used in every business to accomplish tasks in a structured way. The True Path Planner is available in print and as a digital PDF edition. The PDF edition can be used to improve your environmental footprint, but as an extra it enables you to print only the pages that are useful so you can skip the personal aspects that do not fit into your business strategy. The Perfect Notebook is a notebook and task manager designed to help you achieve your goals and work life balance. 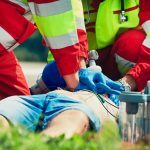 It is structured around a four-step system: Plan, Act, Monitor, Reflect. The Perfect Notebook has an attractive monochrome design and is delivered as a spiral binder, which makes it easy to use while not taking up that much space on your desk. Users can structure their day around a page with some blocks with titles like ‘To-Do Today’, ‘Can Wait Until Tomorrow’, and ‘Parking Lot’. The planner also contains ‘Big Blocks Dashboards’ where you can fill in your professional goals, goals for fun and recreation, body time, etc. At the back of these dashboard pages, users can reflect on the goals they set. They can fill out whether they achieved their goals, which big blocks received the most attention, and what made it harder to invest in some big blocks. The Perfect Notebook ends with a stack of lined paper that can be used for additional note taking. 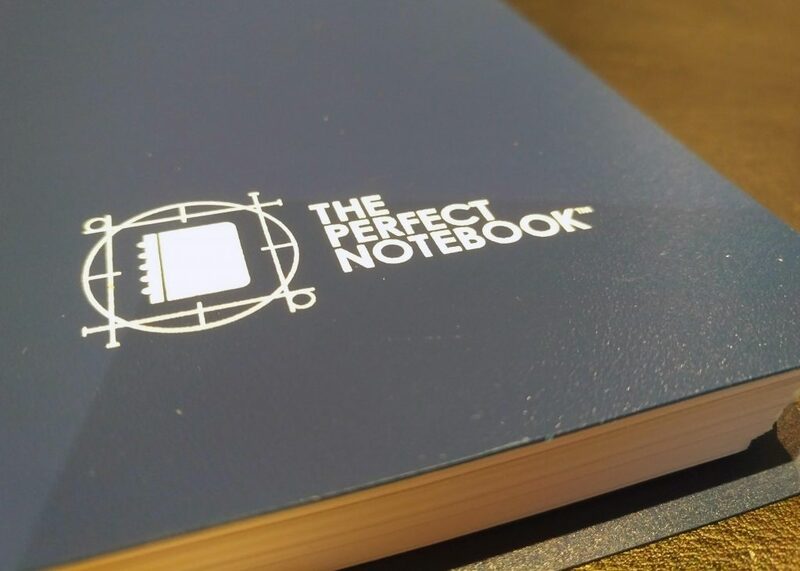 The power of The Perfect Notebook is in the way it structures the thoughts and goals of its users. By breaking up each day into a clear overview of blocks and priorities people have a comprehensive understanding of what they need to accomplish – and whether or not they succeeded in that. Users can order refills at the website, where they can choose from several kinds of refill sets like dotted paper and undated weekly calendar pages. The Perfect Notebook can therefore help translators to get actionable insights and keep track of their achievements. The Design Your Business in 365 Days planner is clearly the most colourful and inspirational planner in this roundup. The planner has an attractive red and black design with a multitude of tips in different fonts and font sizes. Each week the planner focuses on different parts of your business, from your web presence to teamworking. The planner therefore is a bit too broad for many translators and translation agencies, dealing with parts of business they will never be involved in (like ecommerce). 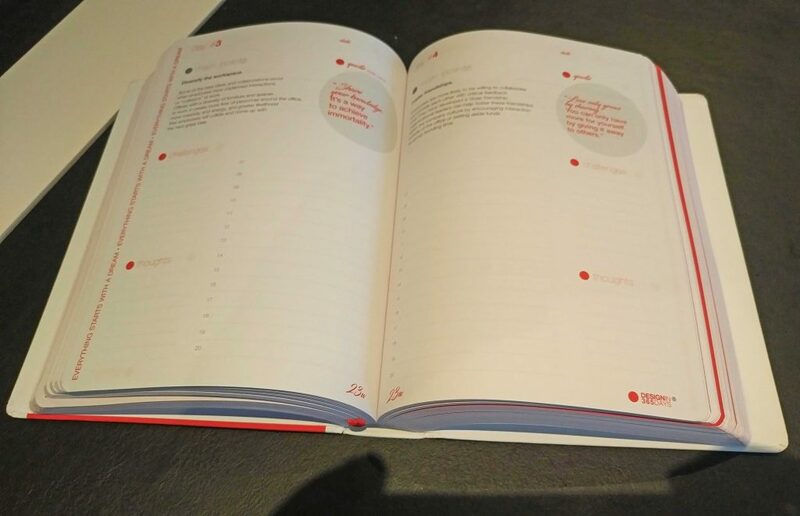 You can find a full review of the Design Your Business in 365 Days Planner here. 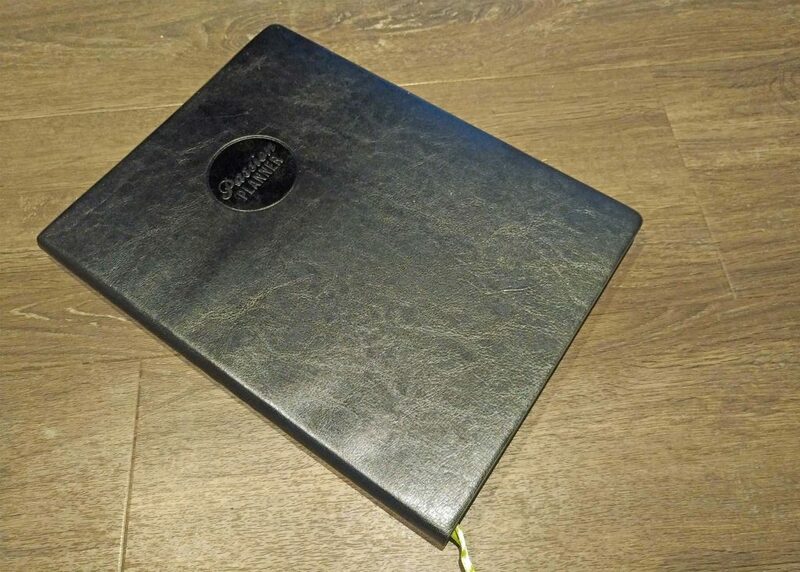 The Passion Planner is huge in size, about A4 (21 x 29.7 cm). This size makes the planner a bit clumsy. 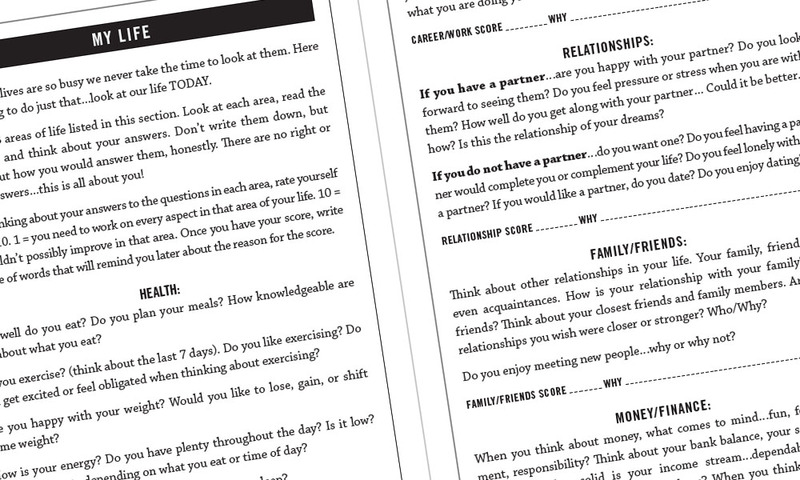 The planner nevertheless contains many tips and tricks to help you reflect on your goals and make better decisions. In the preface the people behind the planner promise that it will help you to follow your passions, get focused, look at the big picture, and stay positive (among others), things you definitely need in the new year. 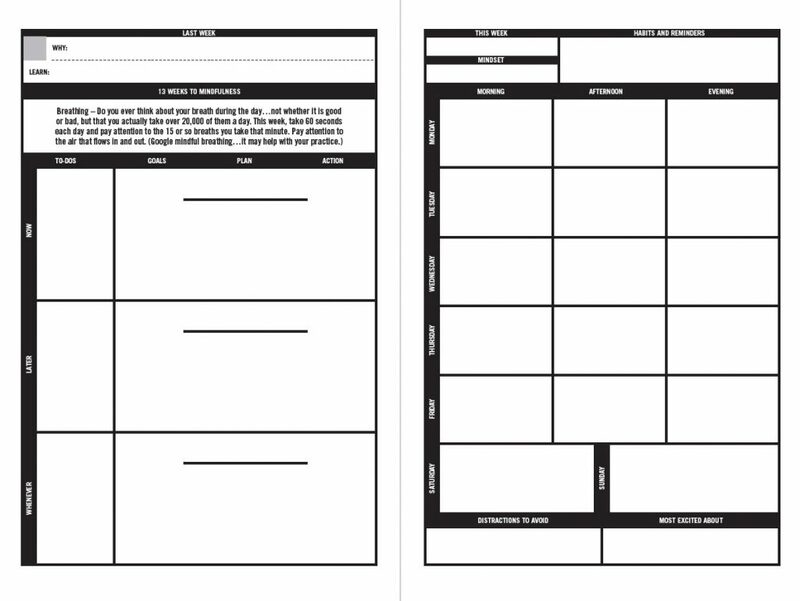 It then contains a passion roadmap, monthly and weekly layouts, reflection pages, and blank and grid pages. The passion roadmap requires you to think about your wishes for three months, one year, three years, and a lifetime. You can then devise the road to achieve these wishes in a mindmap style. Those parts, however, are the least useful parts of the planner. Translators can benefit more from the monthly focus plans and reflections to get their business on track. The Passion Planner furthermore contains a weekly calendar with space to write down your focus, good things that happened, a personal and business to-do list and a ‘space of infinite possibility’. This calendar offers a structured way to run your business and to make plans for the week to come. While the design of the planner is a bit off track, the planner definitely can help you to bring structure into your business. We all know the saying that a small movement of a butterfly’s wing at one side of the earth can result in a typhoon on the other side. The Butterfly Planner was designed with this in mind. 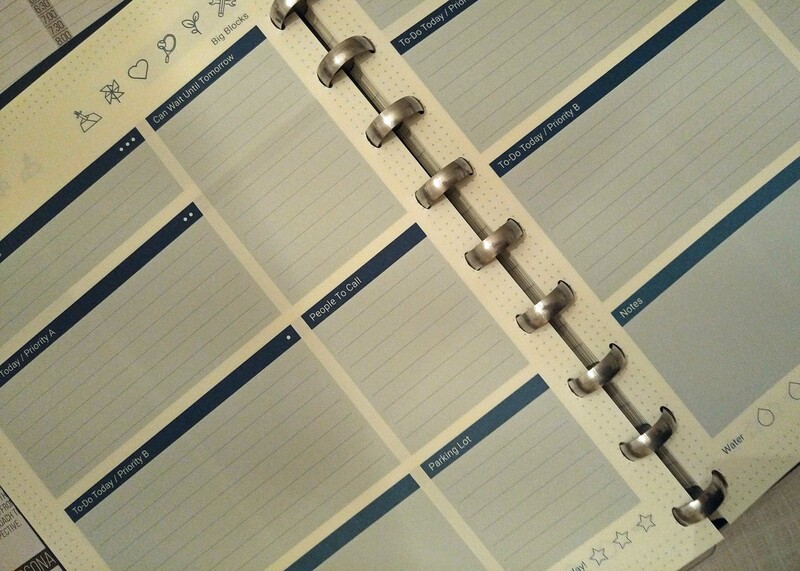 This planner puts your priorities first and enables you to track and review their progress. It comes with a monthly, weekly, and daily layout. In the monthly layout, users list their top three goals of the month, brainstorm their actions to accomplish these goals, and jot down their tasks. In the weekly layout they then note their daily action plans, as well as their most important goals. There is also space to note the reward you can give yourself when you accomplish the goals. An important difference in this planner compared to other planners is that it has some space to list your income and savings goal – an indispensable part of being in business. Every month revolves around a single theme, from ‘Transformation’ via ‘Positivity’ and ‘Leadership’ to ‘Happiness’. These themes are all introduced by a one-page text. 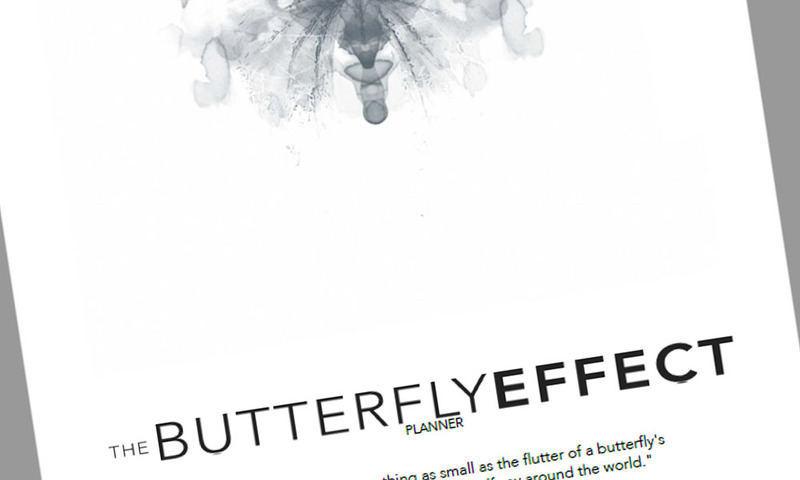 While The Butterfly Planner is comprehensive in the way it structures your plans and goals, and offers the most detailed breakdown for every aspect of your daily life, a big part of it could be ignored if the planner is bought for business reasons. For translators who have an intertwined business and personal life, the planner can be beneficial though because it offers a single space to track all personal and business achievements. And things like Water intake (on the daily layout) simply cannot be personal as we are working a big part of the day. The planner therefore is useful, but occasionally a bit too detailed for some of us.